DD Hi. What are you up to right now? DFRNT Right now, I’m preparing 3 new EPs for Cut records – from three different producers. I’m also setting up a number of new EPs for Echodub, as well as a rather special Echodub project which I’m not going to divulge just yet. As for my own production. I’m creating plenty stuff, in a variety of shapes and sizes, and I’m thinking about tying some of it together in an album (which I might be searching for a label to release), as well as some EPs. I’ve got one or two digital releases lined up on other labels, a 12″ forthcoming on On The Edge, and hopefully the follow up 12″ to my Nu Directions “Emotional Response” EP should surface soon, with the Jus Wan remix on it. I’d say things are looking OK for now, but I’d like to find a label keen to put out my more housier tracks – but I’ve yet to really do a lot of promotion on that side of things. I’m also cutting down on DJing, because I’m getting a bit sick of it. I feel like the gigs I do – only half the audience or less tend to “get it” and I don’t like the exposure of being on a stage behind the decks – I’d rather DJ from behind a wall, and have people pay more attention to the music than just wanting some mindless beat to dance to – I think there’s room for improvement in the way we consume music in clubs and bars. Bigger faster and louder are not necessarily better. DD What to you is a main characteristic of your style? DFRNT I’d like to think it was emotion, but that’s not entirely exclusive to me. I like to use plenty of synths, and I like to keep things smooth and well rounded. DD Do you feel like your introduction to electronic music was meant to happen? Did it feel especially memorable or was it a slow developing kind of relationship? DFRNT I feel like I probably got in to the sounds of electronic music because as a child, my dad used to play Tangerine Dream records for me – I loved the fact that they kind of freaked me out at the time, and it meant that when I started properly listening to electronic stuff, it was a natural thing – I didn’t think about the fact that some people might not consider it “proper music” or whatever. I have progressed through various genres, and ultimately my tastes are changing all the time, but electronic stuff has always seemed to be a mainstay of my library. DD What’s been an encouraging interaction you’ve had with a fan of yours? 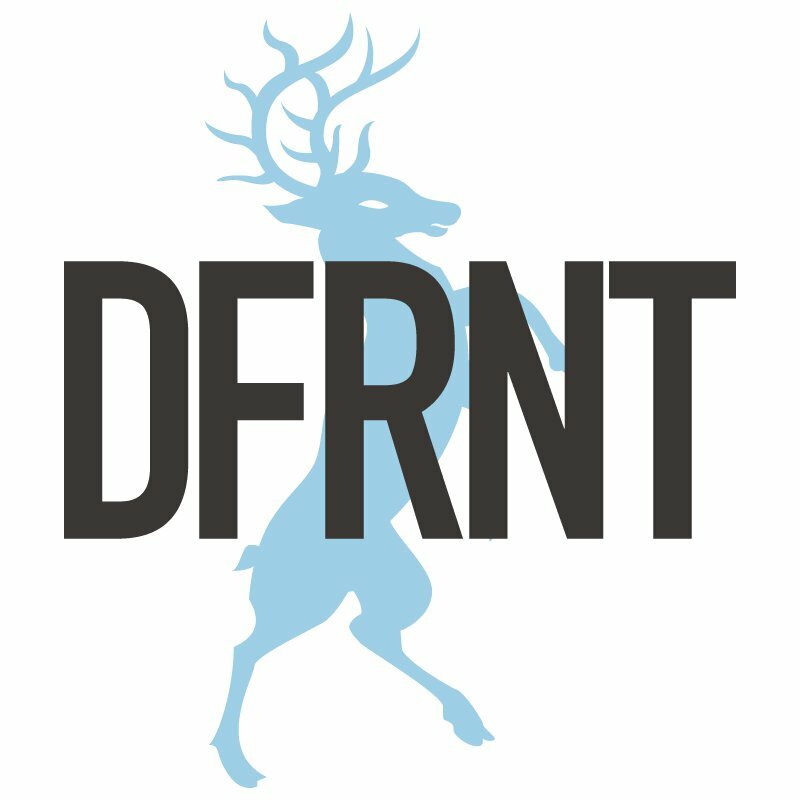 DFRNT It’s hard to say – I have a few people get in touch and wish me well – and it’s always nice to hear how my music is enjoyed by people. It was really nice to meet some folks while over in the USA on my short tour. There were people coming to my gigs and saying how much they were in to my productions, old and new – and it’s always very rewarding to think about how far and widespread these people are – yet they’ve all somehow heard of me. It blows my mind from time to time. Someone once made me a t-shirt with my logo on it too – hand-wrote me a letter and posted me a shirt. I still wear it to my gigs sometimes! DD Plans going into 2012? DFRNT Well I’m planning to relocate to New York City in around 6-8 months, which I think will give me a much needed refresher in terms of music and production, as well as inspirations and peers. I’m really looking forward to that. Before then I’ll hopefully have a few releases, and see what happens with the DJing thing. I’ve not really had time to sit and relax and really think long and hard about the way things are going. Some days I feel like I should just stop and pack it all in – start fresh with a new alias, and see what happens. Other days I think about giving all of my music away for free, and sometimes I just think “wait a bit longer and maybe something good will happen” who knows. DD A few of your favorite songs of all time? There’s loads more!! The list is endless! !